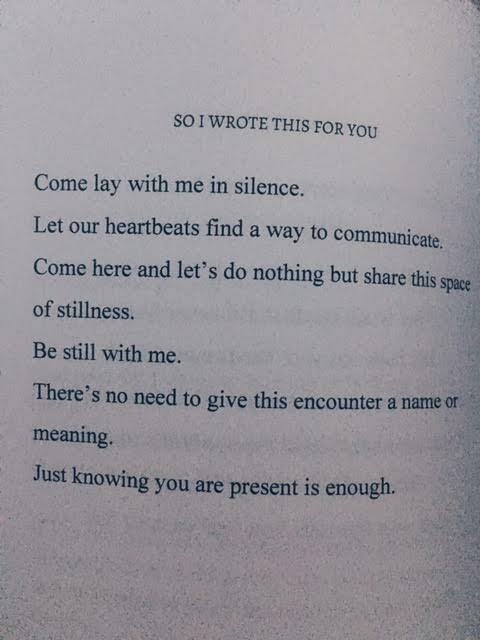 In her new book, So I Wrote This For You, Victoria Ryan is a perfect reflection of why poets are the most fluent in speaking the language of love. This compilation of poems illustrate all the good, the bad, and the beautiful aspects of love we find ourselves consumed by every so often. It's those words you need to read after a break up... The most clever ways to describe the feelings that come with falling... The essence of still experiencing intimacy in this new world of social media-driven relationships... The letters we all wish for the courage to write. So I Wrote This For You will keep love alive in any season; there to read on lonely nights spent with candlelight and to share with someone special, too. All praises to Victoria for creating such a personal project; sharing a piece of her heart with the world. You can purchase So I Wrote This For You from Amazon here and follow the author @imVictoriaRyan.